After her livelihood slips through her fingers, Alexandra Mountbatten takes on an impossible post: transforming a pair of wild orphans into proper young ladies. However, the girls don’t need discipline. They need a loving home. Try telling that to their guardian, Chase Reynaud. The ladies of London have tried—and failed—to make him settle down. Somehow, Alexandra must reach his heart . . . without risking her own. I received this book from Netgalley for Mills and Boon Insiders, in return for a honest review, all thoughts are my own. 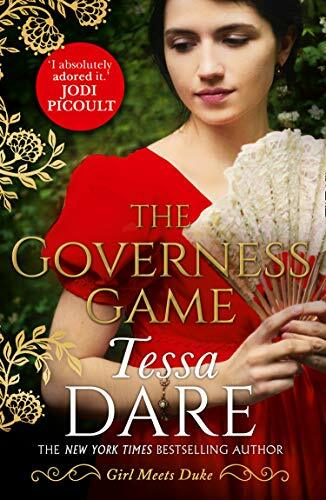 This is the second book I have read of Ms Dare's and I must admit she is becoming a go to author, now for me that is very high praise. This time we are meeting Alexandra Mountbatten and Chase Reynaud. Oh my this book was brilliant, if you have read the first book in this series I can guarantee you will also like this one. The writing is utterly brilliant and lets put it this way I have never laughed so much, if I say Millicent is always dying of some gruesome death, if you have read the book you will know what this means. There was one scene that I did find funny, Alex turns up at Chases house and this is what he thought, she looked like a soggy sausage roll, so would you if you had just fallen in the Thames, there is a reason for Alex getting wet. Chase is the guardian to two adorable children Rosamond and Daisy, who like Chase are having to come to terms with things that have gone on in the past. I loved the relationship between Chase and the girls, to other people looking at them you would think they don't like each...but once you get to know them, you can see that Chase, Rosamond and Daisy love each other and that definitely shows when the girls go missing. For me this book comes highly recommended and for this reason I give 5/5 stars. The book is on pre-order at Amazon UK and the book is released on 28th August.